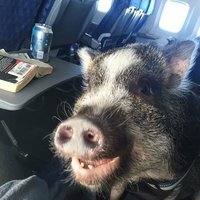 Emotional support and service animals travel for free in the cabin. They are a typical American phenomenon. But change is in the air. Delta Air Lines will evaluate any animal other than a dog or cat on a case-by-case basis. Effective February 1, 2019, Delta will no longer accept emotional support animals on flights longer than 8 hours, regardless of the booking date. 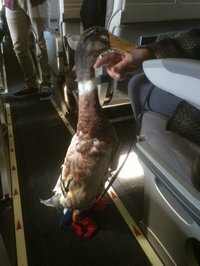 From December 18, 2018 it was already prohibited to book the animals on those flights. Last year - effective July 10, 2018 - Delta already limited the number of emotional animals that passengers can take into the cabin to 1. Also, from the same date the carrier no longer accepts pitbull type dogs as service or support animals. Effective December 18, 2018, service and support animals under 4 months of age are not allowed on any flight due to rabies vaccination requirements. Service animals are another category than emotional support animals and are not exclusively American. They receive training to assist people with physical limitations or other needs. 1. Travel with the animal’s Veterinary Health Form or Immunization Record. 2. While not required, we request passengers to fill out the Trained Service Animal PDF. 3. Upload it to My Trips through the Accessibility Service Request Form. 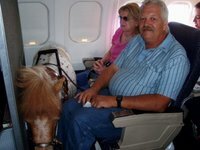 Advanced notice is encouraged, but not required for customers travelling with trained service animals. 1. Download and fill out the required Emotional Support Animal PDF. 2. Upload it to My Trips through the Accessibility Service Request Form. 3. Keep completed paperwork with you while traveling. Service and support animals are expected to be seated in the floor space below a passenger’s seat or seated in a passenger’s lap. Those animals and their associated items travel for free. The size of the animal must not exceed the “footprint” of the passenger’s seat. Items include a kennel, blanket, toy, food or similar item. In the past, the National Federation of the Blind (NFB) voiced concern about Delta's plans. In particular the requirement to upload the documentation 48 hours before the flight raised concern. This would imply that guide dog users could not fly Delta in family or other emergencies. However, the airline seems to have met this concern because this requirement now only applies to emotional support animals. Related" "Animals in the skies"